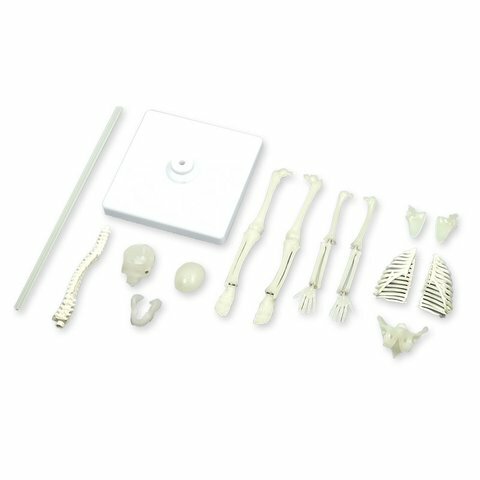 This science kit offers a great opportunity for assembling a 30 cm tall skeleton and learn about the human anatomy: bones, muscles and joints. Japanese brand. 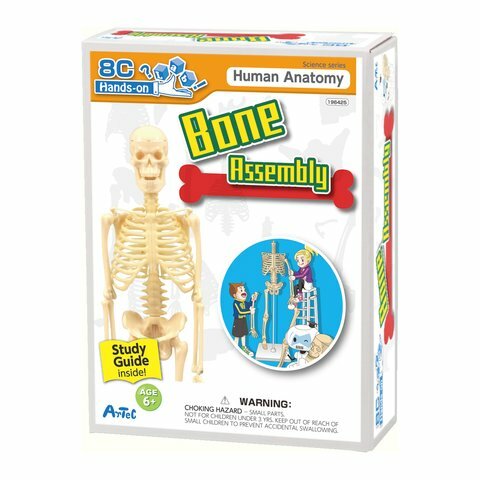 Artec Bone Assembly is a kit to assemble a 30 cm tall skeleton. This is a perfect hands-on way to learn everything about human bones and how they support the whole body. The joints of this model are made with precise accuracy and move realistically. 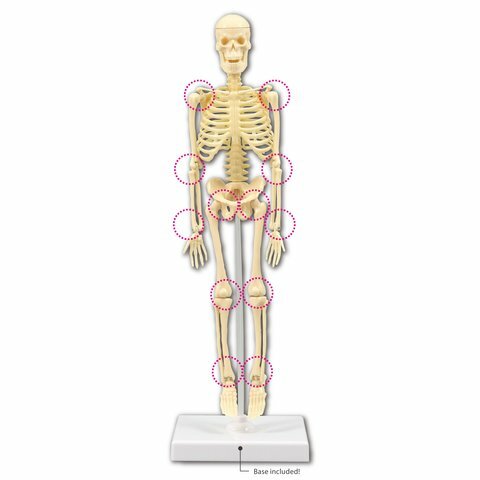 This set includes a detailed illustrated study guide with all the steps needed to assemble the skeleton, skull, spine, rib cage, pelvis and information about the different types of joints. The skeleton model is to be assembled according to the user manual provided. Anatomical accuracy and the detailed illustrated study guide make this the perfect kit for classroom and extracurricular lessons or other educational activities. Realistic and precise model of the human skeleton with movable joints. Great study materials for STEM (Science, Technology, Engineering, and Mathematics) related education. Detailed illustrated study guide included. half of the rib cage — 2 pc. base of the skull — 1 pc. cranial vault — 1 pc. Detailed illustrated study guide — 1 pc.